Aqua Pulse Spas has over 30 years of experience when it comes to spas and are the premier spa supplier for Toowoomba and surrounding areas. Our spa warehouse means we have the ability to manufacture and stock larger quantities of our full range of quality Australian designed spas, giving you the best price for the best features Australia wide. Our hydrotherapy jets are built on a bearing system and not clip in, which means they won’t snap like the standard ones on most other spas do. We also have an enhance variable jet system allowing cooling water to flow through in the warmer months and our inbuilt set and forget heaters will warm things up in the cooler months. With the temperature dropping quite considerably in winter in Toowoomba, a spa from Aqua Pulse Spas is a great way to relax and enjoy hydrotherapy for aching muscles and joints in the comfort of warm water buoyancy, giving your body a chance to recover, relax and rejuvenate. 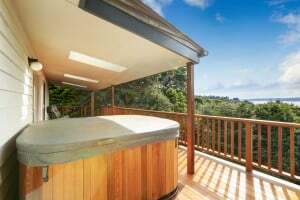 For year round enjoyment and resort style living, contact Aqua Pulse Spas today on (07) 3208 4625 to talk to Michael, Sharyn and the team about our full range of spas or shop our full range online. We have delivery specialists in your area ready to deliver your new spa or sauna so call us now.